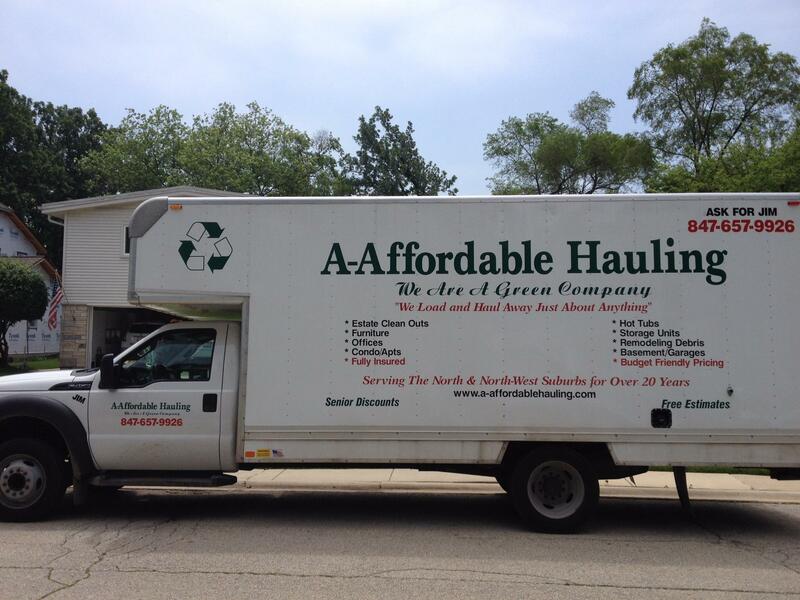 The junk removal specialists at A-Affordable Hauling are your source for fast and easy hauling and disposal. We’re committed to making it quick and easy for homeowners in Glenview, Northbrook and surrounding areas of IL to get rid of unwanted household items, yard debris, construction waste, and much more. And because our team is passionate about customer satisfaction, you can always expect the highest level of service. Let us help you re-claim your space once and for all. Call us in Glenview, IL today to inquire about our junk removal services or to schedule a pick-up.